At the University of Hong Kong, semi-transparent perovskite solar cells using graphene were developed. 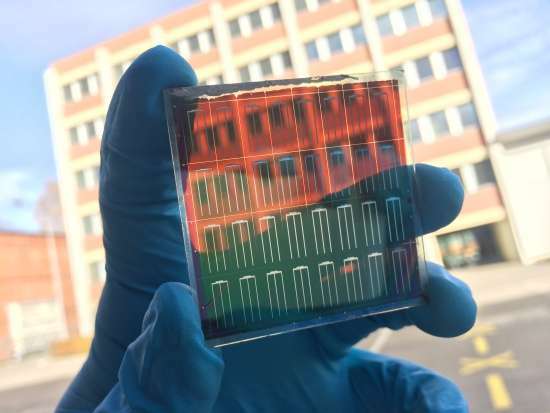 Solar panels of the third generation with the use of graphene are twice cheaper than silicon ones and twice more efficient as translucent converters. With this in mind, it became clear why the new Solar DAO crypto currency project was launched so swiftly. Now about this in order. The first generation of solar panels are stable, have a relatively high efficiency (15%). But they are not transparent. Panels of the second generation are translucent, even more expensive in production and give half the energy from a similar area. Scientists of the Polytechnic University of Hong Kong have created technologies for solar converters of the third generation. The efficiency of their invention is 12%, the cost is half the price of silicon and they are translucent. Do you want to breathe clean air, look through the solar panel from the window to the beauty of the world and at the same time make money? Such a possibility gives us a new project Solar DAO. In fact, this is a modern crypto currency investment in technology and solar energy conversion projects. Discounts at the start and bonuses allowed to collect for the first days of 150 000 dollars. This is not surprising. Profitability is expected to be above 300%. By investing in solar energy, we ensure our health and well-being. Take a part!